Our KeraStraight endorsed, Balmain hair extension authorised & L’Oréal Colour Trophy winning team have you covered. The Colours team is one of the most experienced to be found anywhere in the East Anglian region. They share a genuine passion for hairdressing and know the difference a great haircut can have on how we all feel. All the team are trained in L’Oréal, Schwarzkopf and Tigi. Jacky leads the team with a wealth of experience and a passion for colour. She believes hair should reflect your personality and that the right cut and colour can make you feel happy and confident. 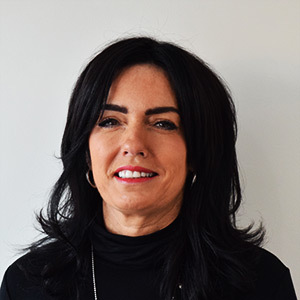 Jacky is an advanced hairdresser who specialises in colouring and colour correction, Olaplex and KeraStraight treatments, she is skilled at razer cuts and expert at permanent wave (perm), offering clients more volume and curl. She has seen a recent revival in curls especially in youth fashion with young men taking the lead. Jacky works with the hairdressing team on Tuesdays and Fridays. 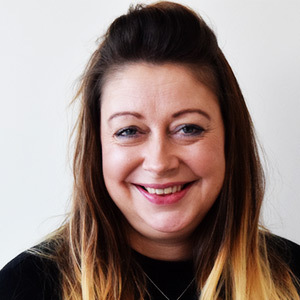 Due to high demand she is rarely able to take on new customers, her available appointments at the salon are quickly booked, however, she is always happy to offer practical advice and technical assistance to both customers and stylists. 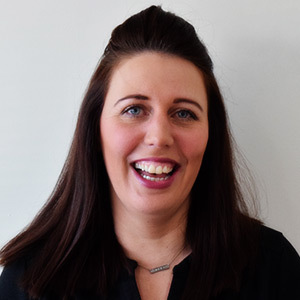 Karey-Ann is the manageress at Colours and has been part of the team for over 9 years. Jacky and Karey-Ann have a strong working relationship and share the same vision for the salon; together they innovate to ensure clients get the best service and most up to date products and techniques available. Karey-Ann is an advanced hairdresser who loves a challenge. She excels as being creative with hair and colour with specialist knowledge of cutting and Tigi methodology. 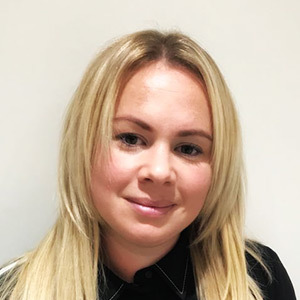 She specialises in hair up, colouring, Balmain hair extensions and can transform damaged hair with her expert knowledge of KeraStraight products and systems. Karey-Ann is also an accomplished barber and is available for consultations and appointments Tuesdays through to Fridays. 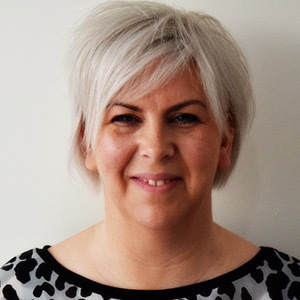 Sarah has been with Colours for over 19 years and has a strong local following; with her outgoing and friendly personality she is a joy to have cut you hair. Sarah has an eye for helping you choose a great style and is an excellent colour technician. Sarah works on Mondays, Wednesdays, Fridays and Saturdays by appointment. Donna has worked at Colours for over 16 years and over that time has developed a large client base. As you can see from her look, Donna loves the fashion side of hair and often sports some of the latest cuts and colours. Donna is a strong stylist with a great eye for colour and is available on Mondays, Fridays and Saturdays. For almost 10 years Maria has been helping her clients look and feel great. She specialises in Balmain hair extensions and loves how extensions can dramatically change your look in just a few hours. With some stunning transformation Maria is the lady to talk to if you’re considering hair extensions. Maria is available for consultations and appointments on Thursdays. 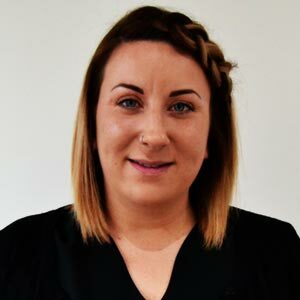 Amy has been with Colours since her training began almost 5 years ago and is a fully qualified level three hairdresser with extensive experience in hairdressing. She has a talent for long hair curling and ‘hair-up’ and is fast becoming a revered colourist. Amy is one of a small number of hairdressers that can create stunning and glamorous ‘hair’ for that special occasion or high profile event. Amy has appointments available on Tuesdays, Thursdays, Fridays and Saturdays. Helen is our newest recruit and has worked at Colours for 8 months following her move from Fusion in Gorleston. 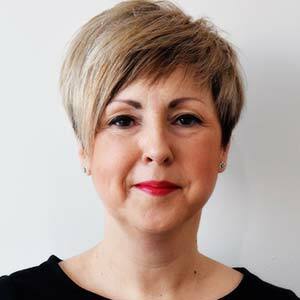 After completing her training at Norwich Cutting Studio Helen held high profile roles in some of Norfolk’s most prestigious salons. Helen is one of a select group of hairdressers in the UK to win the coverted L’Oréal Colour trophy. Her skill and attention to detail is second to none and it really shows in her finished work. Helen is a super enthusiastic person and her bubby personally shines though. 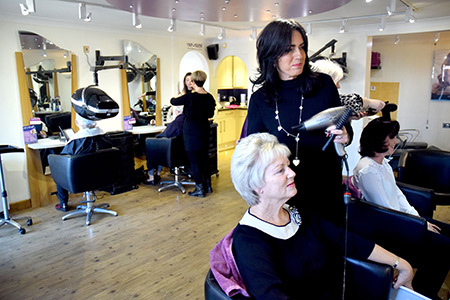 You’re guaranteed to feel at ease with Helen and enjoy a fabulous haircut and amazing colour. Helen has availability on Tuesdays and Saturdays for consultations and appointments. 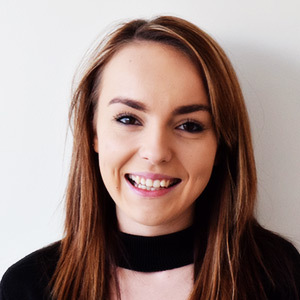 Siobhan is a level 2 trained stylist, about to complete level 3 who has a passion for both hair and beauty treatments. She enjoys working on the creative side of the industry with crazy colours, pastel toners and fantasy hair up. If you want the latest Balayage treatment through to a consultation for wedding hair, then Siobhan is the stylist for you. You can book your appointment with Siobhan on either Tuesday, Thursday or Saturday.